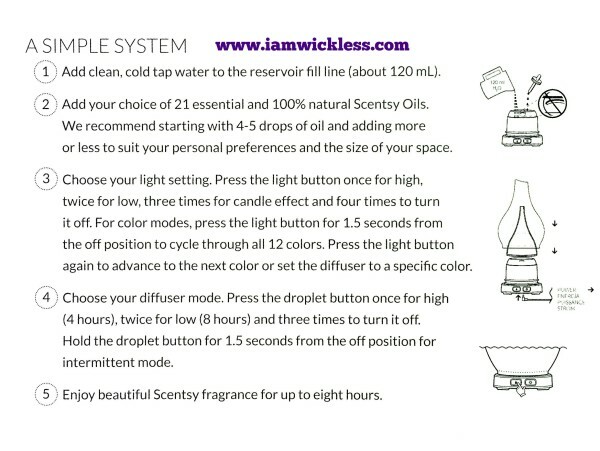 Introducing the Scentsy Diffuser with 16 LED Light options, and our most personal fragrance experience yet. Simply add water and your favorite Scentsy Oil to the reservoir, choose your light and mist option and enjoy. The Scentsy Diffuser releases your perfect fragrance, carried in a microscopic mist, for an exclusively natural, full-bodied, immediate experience precisely matched to your personal preferences. Lift your spirit and enliven your space with a Scentsy Diffuser. This handcrafted vessel is customized with style and light. A fragrant mist fills the air, fulfilling an elegant, multi-sensory experience that instantly beautifies your environment and renews your soul. Artisanal Fragrance expressed through artful design. High, low, and intermittent diffuser modes give you complete control over the intensity and longevity of your fragrance experience. Cold-mist technology allows you to enjoy Scentsy fragrance oils instantly. For our Scentsy Diffuser FAQ, as well as information on our Scentsy Essential Oils, visit the links provided. 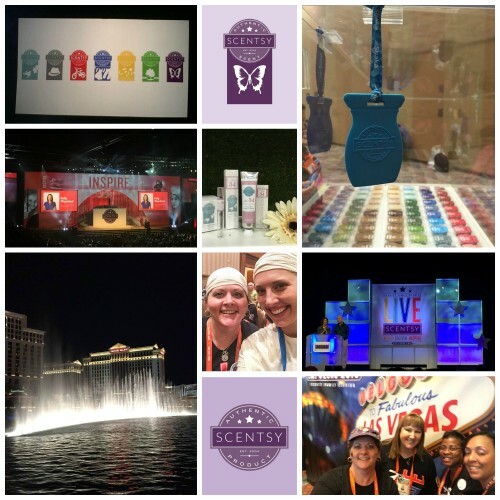 Day one of our Scentsy Convention 2015 Las Vegas was amazing! My friend (and team mate) Cherie flew in Monday morning. We got checked in, then Monday evening was our Leadership dinner (fancy!) and training. Cherie and I had tickets to KA, a Cirque show at the MGM. It was so amazing! 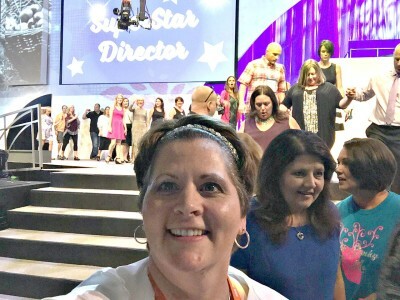 Day two of our Scentsy Convention 2015 Las Vegas was our Scentsy SuperStar Director meeting/kick-off, then we had our first general session that evening. The new brand category logos are beautiful and will look amazing as part of an overall theme for a table display -I’m so excited! Heidi Thompson also did her keynote presentation about how we, like the butterfly effect, are capable of changing the direction of our lives -small choices for BIG results. It was a profound presentation, and I’m glad I was there to hear it. We then were treated to an awesome concert by One Republic -I could listen to them all day. Day 3 of our Scentsy Convention 2015 Las Vegas was crazy! During our General Session, we saw all the new products for our upcoming Scentsy Fall 2015 Catalog …AH-MAZING! We also listened to Orville’s Keynote. He shared about how our business is like a tree where people transform to create their best selves. I love how he tied his keynote in with Heidi’s in that we need to be the tree, and trees support butterflies. I ordered pizza for our team, and we had a nice team get-together before we went to all our fun classes. We shopped the Scentsy Family Store, hung out in the Fragrance Experience Room, and learned about how fragrance works -super informative. 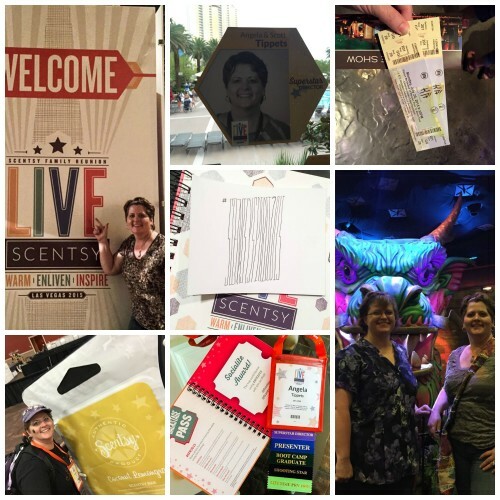 Day 4 of our Scentsy Convention 2015 Las Vegas we had the best motivational speakers –Sally Hogshead, and Robyn Benincasa -if you’ve never heard of these ladies, check them out! After their presentations and lunch, we went to our breakout sessions. I had the opportunity to present at two of our breakouts. My class was called, “Organize Me” and I shared about the systems I use, and how habits create systems of organizations, which in turn leads to achieved goals. I made a video for my breakout class where I took the class on a tour of my office, and it’s now on YouTube. I was nervous, but super excited to share. The last night at Scentsy Convention 2015 Las Vegas was our awards night. We found out at our awards night that the Scentsy Convention 2016 Nashville will be held July 19-22. While I’ve been to Nashville before, I’m excited to be going with Scentsy because it’s always more fun to travel with my Scentsy team. Can’t wait! 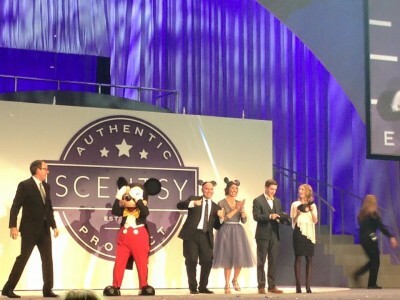 We also found out that our Scentsy Incentive Trip 2016 will be at Disneyworld. This will be another family incentive trip to earn -meaning we can invite the kids, grandparents, whoever we want to join us. The only thing is we need to earn it -so, join my team and start earning your way to a FREE DisneyWorld vacation. Our Scentsy Convention 2015 Las Vegas wrap was a concert by Michael Cavanaugh. If you’ve never heard of him, check out the link. He was amazing! 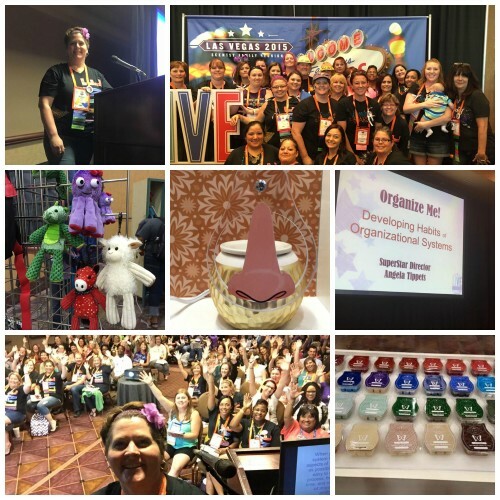 I’m so glad I attended our Scentsy Convention 2015 Las Vegas. I’m ready to jump back in to my business, and my team is on fire! If you have any questions, or would like to join Scentsy, contact me today and I can help you get started on your own successful Scentsy journey. Do you have a Periscope account? If not, you should get one! 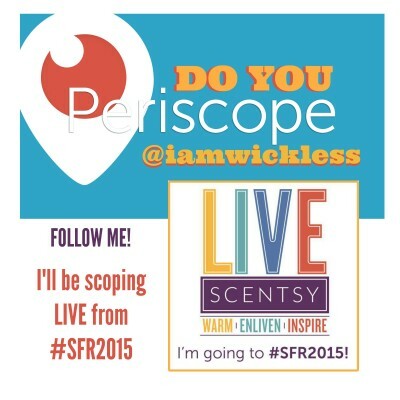 I’m so excited to be broadcasting our Scentsy Convention 2015 live on Periscope this week. I’ll be in Las Vegas seeing all the new Scentsy Products, as well as the new 2015 Fall Scentsy Catalog. There will be trainings, guest speakers, breakout sessions, fun, the Scentsy Family Store, celebrating -and of course it will be in Las Vegas! Join me at our Scentsy Convention 2015 live on Periscope and stay in the know of our new products. It will be one big party, and super fun! Follow me @iamwickless, and if you like what you’re seeing, give us some loves. 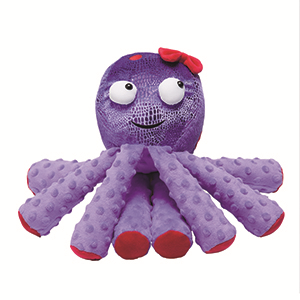 With eyes so sweet and wide, Bubbles the Octopus Scentsy Buddy is sure to inspire ocean-sized declarations of love no matter where she goes. With her velvety arms and sweet smile, this cute, cuddly pal is perfect for playtime, nap time -anytime! 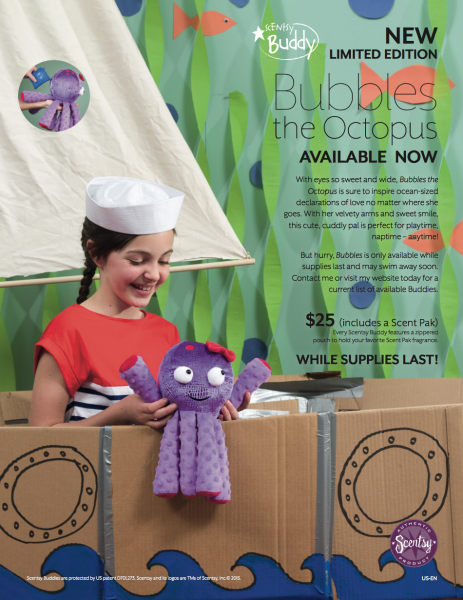 But hurry, Bubbles the Octopus Scentsy Buddy is only available while supplies last and may swim away soon. Contact me or visit my website today for a list of current available Buddies. Visit our official Scentsy Buddy website for safe, online play. 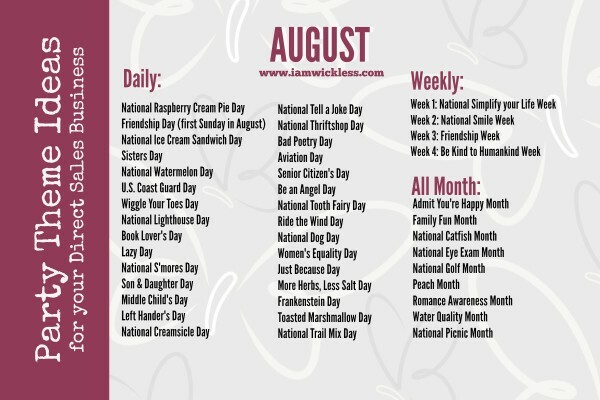 Enjoy coloring pages, puzzles, and seeing all our retired Scentsy Buddies. Colorgraphy is lined with a bright color wheel of freshly sharpened pencils. The perfect dose of inspiration for a classroom, it will encourage teachers and children alike to color outside the lines. My daughter is an art student and I know she’ll love this warmer too. Click here for our current Scentsy Warmers. 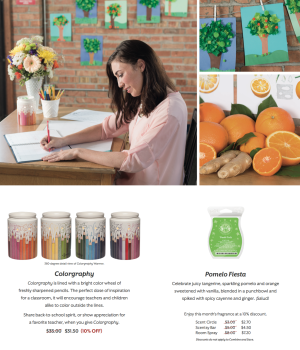 Here’s a great back to school gift idea: Share back-to-school spirit, or show appreciation for a favorite teacher, when you give the August 2015 Scentsy Warmer Special Colorgraphy . Celebrate juicy tangerine, sparkling pomelo and orange sweetened with vanilla, blended in a punchbowl and spiked with spicy cayenne and ginger. ¡Salud! Every month Scentsy offers a new warmer and scent of the month, or a fragrance for a discounted price. Click here to see the newest Scentsy Warmer of the Month, and the newest Scentsy fragrance of the Month.